Are you a fan of coil mattresses? How about microcoils? Then say hello to the brand new Drift mattress. Drift recently launched its hybrid mattress and has high hopes of helping you drift to sleep! Does this mattress have what it takes to compete in the hybrid/coil mattress market? Continue reading below to find out! Don’t have enough time to read the full review? Click here for the review summary. The Drift is a 25-cm mattress composed of microcoils and foam. Top layer (cooling) – 1.5 cm layer of wool and cotton. This top layer is designed to improve cooling of the mattress by wicking away moisture and providing consistent airflow through the mattress. Middle layer (comfort + support) – 11.5 cm of microcoils. This middle layer is actually a combination of three separate coil layers. The first layer of microcoils works to provide the comfort and contour to the sleeper. The next two layers of microcoils are designed to provide the support. Bottom layer (foundation) – 12 cm of base foam. 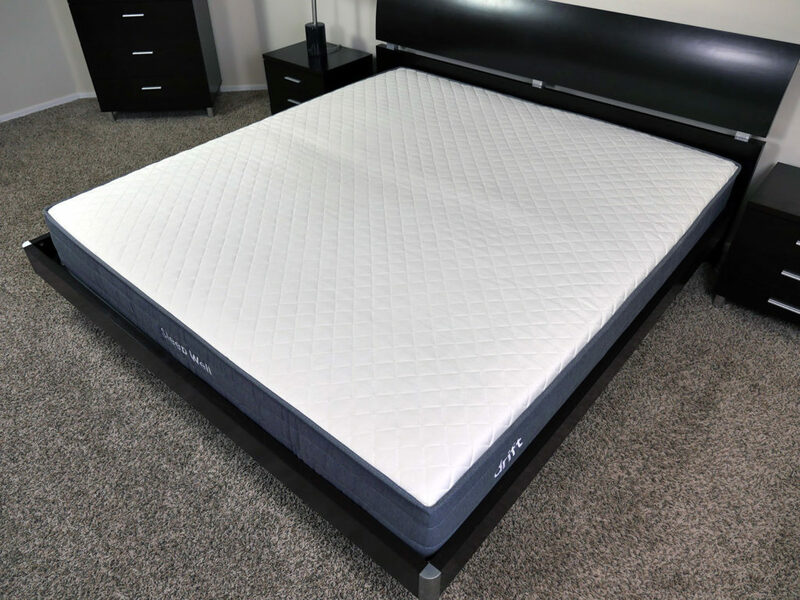 The bottom layer of foam acts as the foundational base for the mattress as well as the deep compression support for the sleeper. The cover of the Drift mattress is both durable and well built. Aesthetically speaking, the cover contains gray side panels and a white top piece. Drift adopted what has become the “staple” design for most mattress covers today, but added their logo to two sides of the mattress, giving it more of a personal touch overall. The Drift mattress offer a medium to medium firm feel, landing at a 6 out of 10 on the firmness scale, where 10 is the most firm. At this firmness level, Drift hopes to meet the needs of a vast majority of sleepers. Built from mostly microcoils, the Drift mattress offers more of a coil mattress feel. Although considered a hybrid, the microcoil core layers create more of a generalized hug around your body. 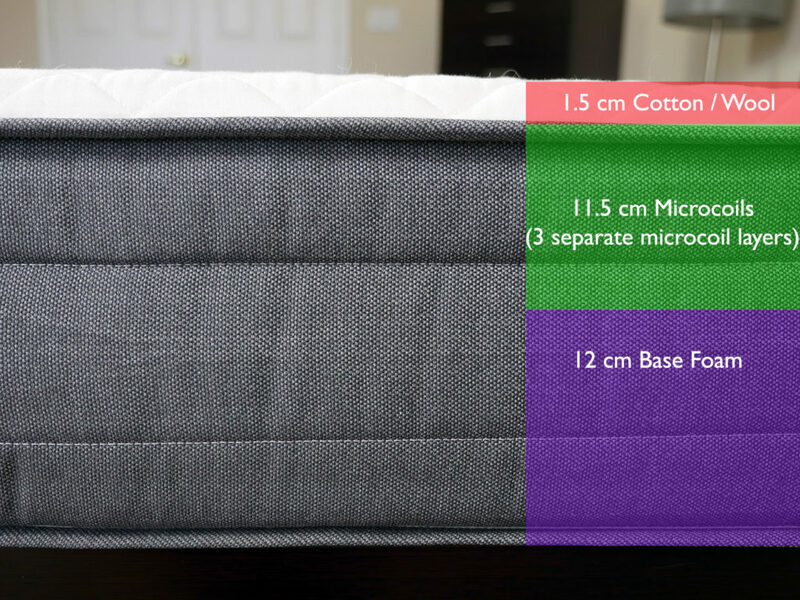 Most other hybrid mattresses I have tested tend to have a sharper contour, due to the top layer, or layers, of foam. This is due largely in part to the microcoil construction. The Drift offers a relatively high level of sinkage, but minimal levels of hug and contour. This sinkage allows sleepers to really engage with the layers below, creating a good level of support. The support provided by the Drift mattress was one of its more impressive attributes. I was able to sleep in all positions whilst testing the Drift, but favored my side most nights. The support on my stomach and back were not bad by any means. I felt as if I was in alignment whilst sleeping in those positions as well. Sleeping on my side simply created a more balanced feel overall. The sinkage resulting from side sleeping on the Drift led to what felt like a greater pushback from the supportive microcoils, whereas on my back and stomach I was not really able to engage with those coils. Overall, this mattress offers sufficient support in most positions, but I feel like it excels for supporting side sleepers. Response times were virtually instantaneous with the Drift mattress. This faster response also led to a high level of bounce. The microcoils are able to respond to pressure immediately, providing a fast level of pushback, creating that high bounce. Higher levels of bounce make for more enjoyable amorous activities, as well as getting in / out of bed. With this bounce does come a degree of motion transfer. Although the motion transfer is not excessive, there is a notable level of energy transferred across the mattress. Once again, this is in part due to the microcoil construction, as well as the tighter cover. With this tighter cover, energy does not immediately dissipate. Instead, it has the tendency to spread across the mattress before being absorbed by the layers below. Finally, cooling. The wool / cotton combo top layer and microcoil core layers do a great job of breathing and providing a cool sleeping surface. Airflow seems to be consistent in and out of the mattress, helping to maintain a more comfortable sleeping surface. Lying on your back – As I lay down on my back with my weight spread evenly across the mattress, I saw 6 cm of sinkage. Lying on your side – Whilst lying on my side, I saw 8 cm of sinkage. Sitting on edge (conservative) – In a normal sitting position with my bottom slightly farther back on the mattress, I saw 9 cm of sinkage. Sitting on edge (aggressive) – As I sat on the direct edge of the mattress, I saw 11 cm of sinkage. Standing in the middle – With all of my weight placed at one point on the mattress, I saw 14 cm of sinkage. Should I buy the Drift mattress? All things considered, I’m a fan of the Drift mattress. Whilst it does create more of a generalized hug and contour, the feel is quite nice. The contour microcoils and more supportive microcoils combine for a balanced, supportive feel. Additionally, the Drift is extremely responsive and offers an enjoyable level of bounce. Whilst there are a few cons around this mattress, the pros certainly outweigh them. Want a medium mattress – The Drift mattress brings home a medium 6 out of 10 on the firmness scale, where 10 is the most firm. 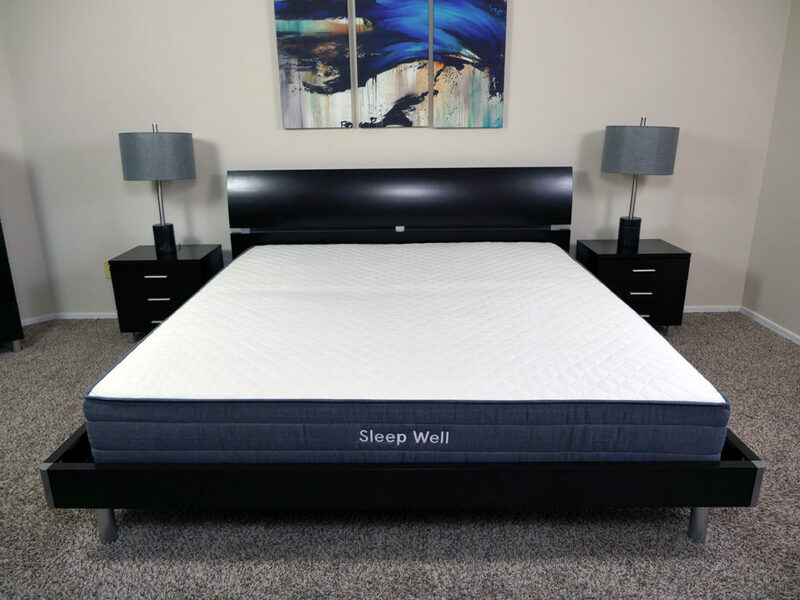 Want a hybrid mattress – As a hybrid mattress, the Drift is going to offer more bounce, more motion transfer, faster response times, good cooling, and a decent level of hug and contour. You will want to be sure you’re okay with these characteristics if you’re considering the Drift mattress. For those who like the classic feel of coil mattresses you’re very likely to enjoy the Drift. Want more of a generalized hug and contour – The Drift mattress offers more of a rounded level of contour around your body. The microcoil core layers are designed to shape to your body, but their natural tendency is to compress and create more of a generalized hug. Want a cool mattress – The cotton / wool combo top layer and microcoil core layers help create a high level of breathability, maintaining a cooler sleeping surface. For more information on the Drift mattress, visit DriftSleep.com. Built from a core layer of coils, the Drift mattress offers more of a true coil feel. There is a high level of bounce, good support, good cooling, average motion transfer, and and more of a generalized level of hug and contour around your body. 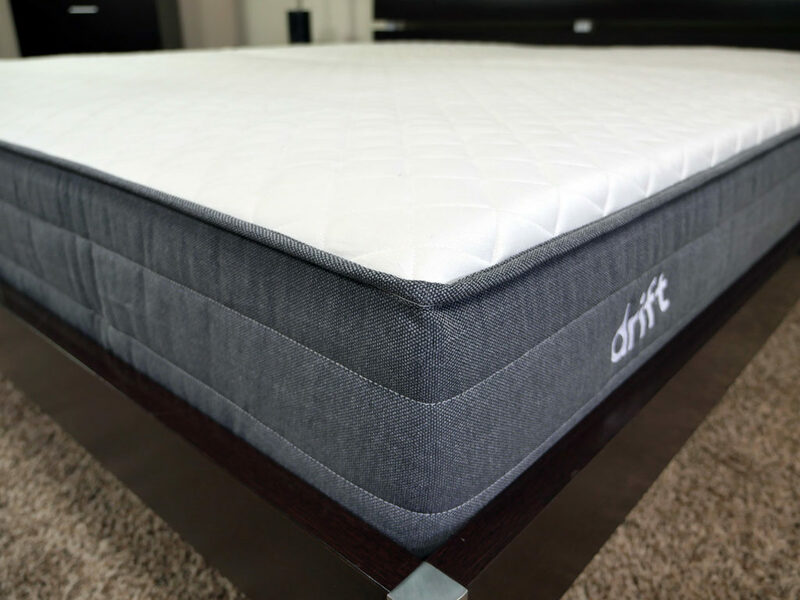 If you’re a fan of the coil mattress feel and design, the Drift could certainly be a good option to consider.